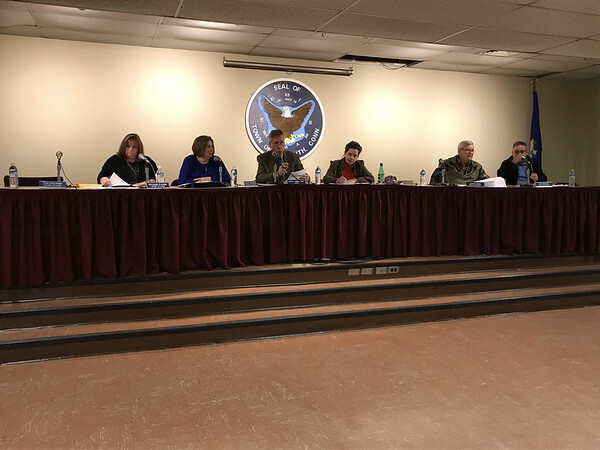 PLYMOUTH - The Town Council voted at its meeting Wednesday to set a public hearing for the potential sale of Main Street School on March 6. The hearing will begin at 6 p.m. at the Town Hall. Mayor David Merchant informed the council that EdAdvance, one of Connecticut’s six regional education service centers, had expressed interest in acquiring the school. However, no dollar amount was given. Appointments and re-appointments were also made. Mike Luba was appointed to the police commission with a term ending Jan. 1, 2020. Anthony Orsini and Dr. Anthony Scappaticci were both re-appointed to the Torrington Area Health District Board of Health. The council also voted to refund overpayments of property taxes. Cab East LLC got $493.15 and $313.40 back, Environmental Products had $189.54 returned, Denise Goff was given back $26.83, Gregory Shell had $105.58 returned, Wendy or Matthew Smith got back $25.88, Matthew or Garrett Smith had $167.37 returned and Toyota Lease Trust was given back $35.26. During Town Council Comments, Councilor Dan Gentile reminded residents that he would hold an open forum every first Monday of the month at Town Hall. “This is not an official meeting with a quorum. It’s just a chance to listen to the people like the coffee hours that Henri Martin and Whit Betts hold,” he said. Posted in The Bristol Press, Plymouth on Friday, 8 February 2019 19:04. Updated: Friday, 8 February 2019 19:06.